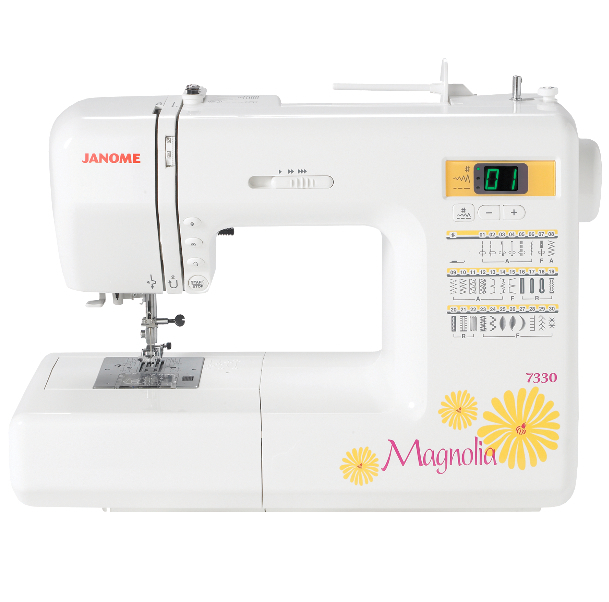 The Janome Magnolia 7330 is the most advanced machine in the Magnolia Line. Perfect for creating any kind of home decor or sewing project, it enables you to add your personal flair to your home and wardrobe. You'll get 30 decorative stitches, and lots of great automatic features. Incorporating the same Janome precision and technology that goes into all of our machines, the Magnolia 7330 helps you define yourself at a great price. The Magnolia 7330 includes a variety of time-saving features, including memorized needle up/down button, locking stitch, reverse, and start/stop. Set your speed to accommodate your preference or project with the speed control slider. Choose from 30 decorative and utility stitches, including 6 buttonholes. 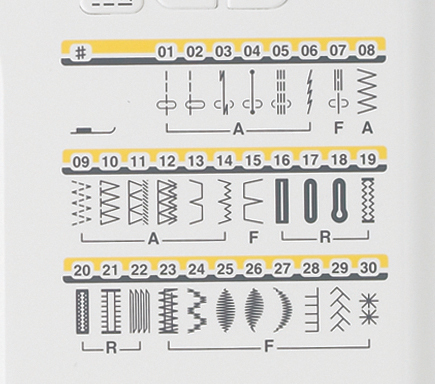 Select or adjust stitches for your personal sewing needs. The bright and easy-to-read LED shows selection numerically.